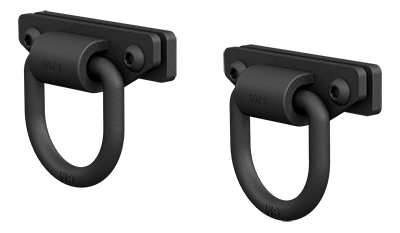 Order Shackels, Tow Hooks & D-Rings at ARIES Automotive Give your truck, Jeep or SUV a solid recovery anchor with an ARIES D-ring, shackle or tow hook. Each is fully tested for hard work. ARIES shackles, D-rings and tow hooks add a solid anchoring point to your vehicle. They can be installed on a bumper or other surface and are tested in-house for safety (limited to mounting structure). They also come with a rust-resistant powder coat finish.